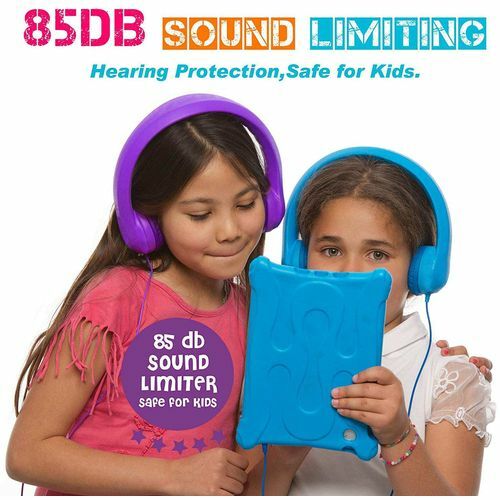 Designed for children, these robust super flexible kids headphones allow you to protect your childs hearing by restricting the volume to a maximum of 85 dB, so that young ears cannot be harmed by having the volume too loud. The World Health Organisation recommends that noise levels are limited to 85dB, as prolonged exposure to noise levels above this may damage your hearing, and loud noise above 120dB can cause immediate harm to your ears. 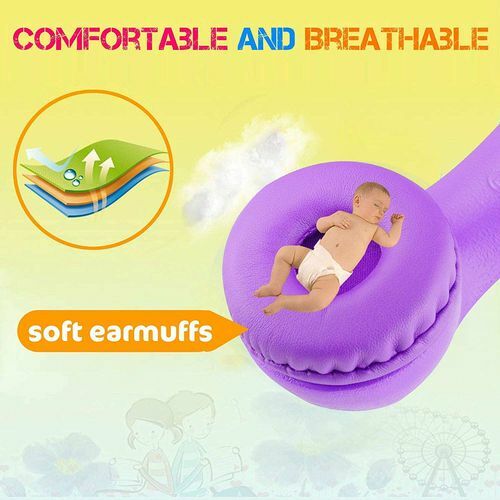 It is also recommended that "in ear headphones" or "ear buds" are not used for small children, as these fit inside the ear, are not volume controlled, and because of the childrens smaller external auditory canals, the eardrum is closer to the sound source. On these headphones there is a "Shareport". So there is no need for a splitter as another headphone can plug into a socket on the other side of the headphone. Normally 4 headphones can be connected from a single audio source without any discernable loss of volume. Up to 6 headphones connected onto a single audio source is possible, but a slight sound reduction might be noticed. 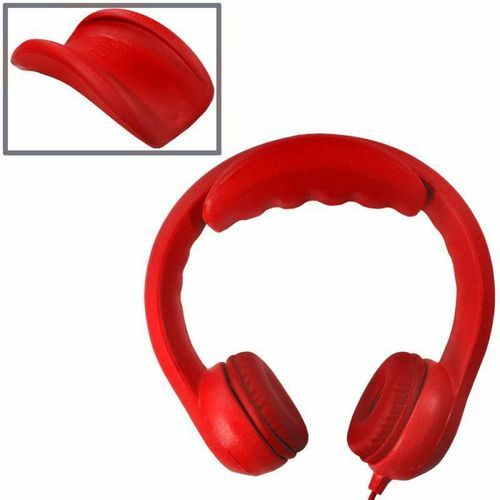 These headphones also feature a removable headband size adjuster to allow for young children and adults alike to wear them in comfort. 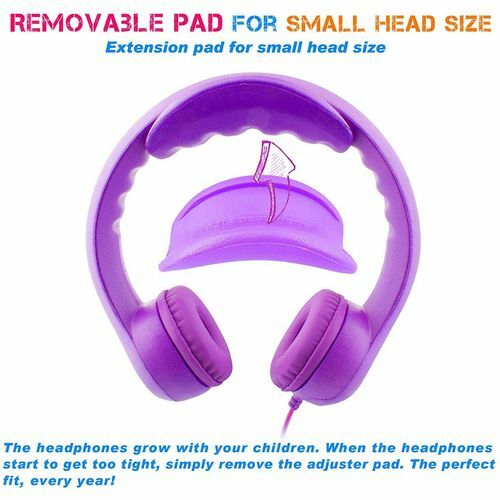 The headphones grow with your children. when the headphones start to get too tight, simply remove the adjuster pad. 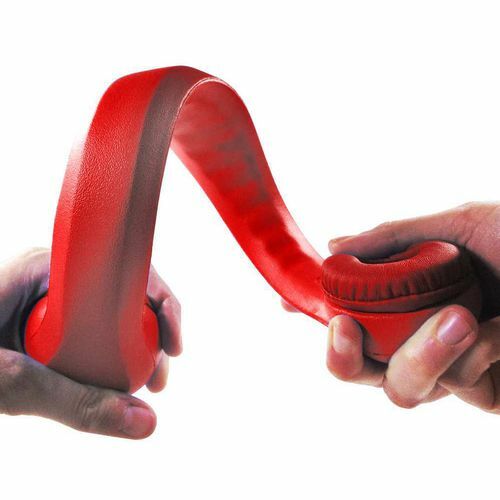 The perfect fitting headphone every year. 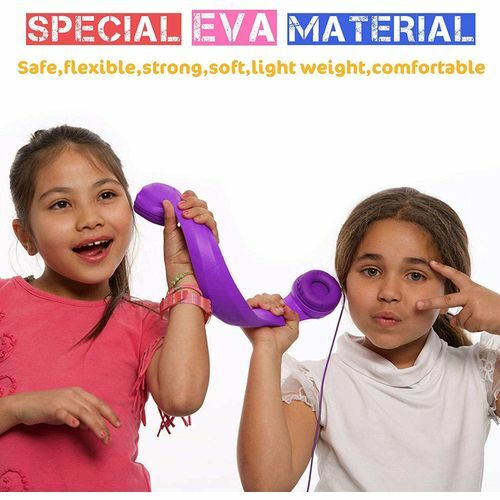 Manufactured from safe, soft, bendable, non-toxic EVA foam make these headphones almost unbreakable. 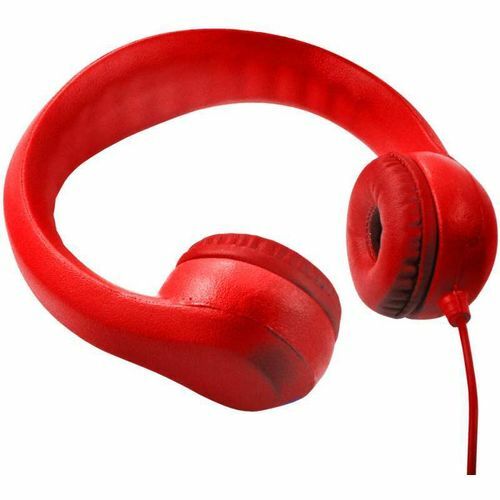 Although these headphones are volume-limited, there is no compromise on sound quality and they provide clear, distinct sound for your music, audiobook program or movie/television soundtrack . 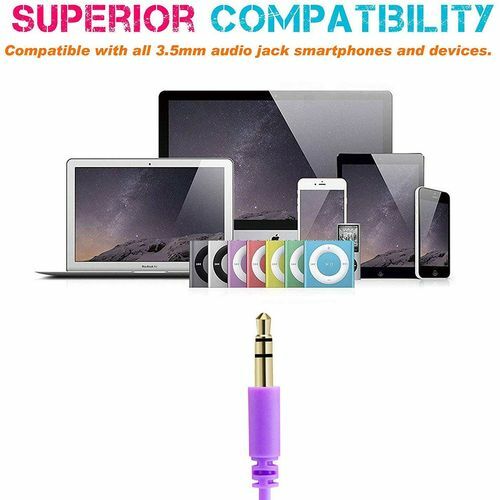 Universal 3.5mm stereo plug for use with PCs, iPads/Tablets, iPods, MP3, DVD players etc.